Viking Books for Young Readers, 9780670785490, 544pp. 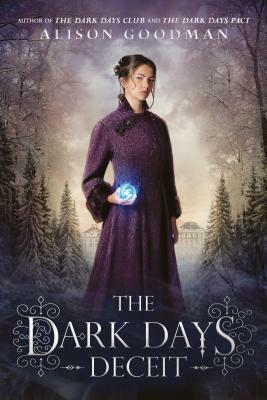 Alison Goodman writes in a variety of genres, ranging from the genre-bending DARK DAYS CLUB titles, to the EON/EONA fantasy duology, to the YA science fiction thriller SINGING THE DOGSTAR BLUES. She was a D.J. O'Hearn Memorial Fellow at Melbourne Universtiy, holds a master of arts degree, and mentors emerging writers. A long-time lover of the Regency period, she has a treasure trove of material to be viewed at pinterest.com/alisongoodman. She is online at darkdaysclub.com and on Twitter @AlisonGoodman.